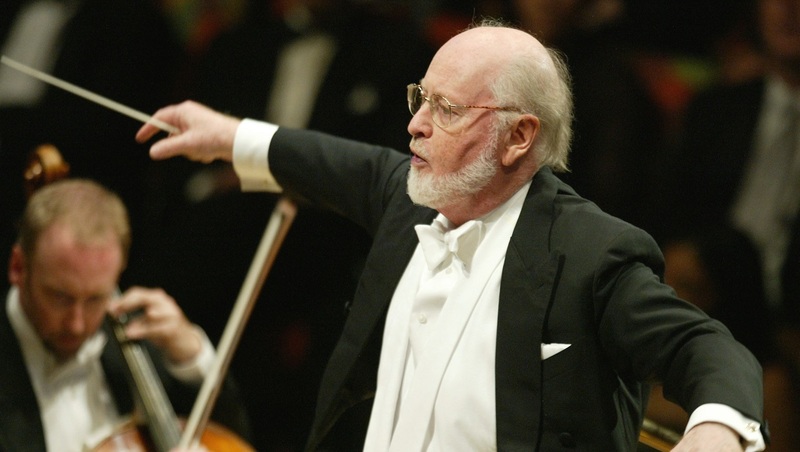 John Williams and Jill Scott were among the artists who brought this year's Oscar-nominated music to life at an inaugural concert organized by the motion picture academy. The show featured each of this year's nominated composers leading an orchestra of professional studio musicians, as well as performances of each original song vying for the Academy Award. Which Academy Award-nominee would YOU vote for? Williams conducted an 80-piece orchestra, performing his score from "The Book Thief," while Scott put her own spin on Pharrell's "Happy" from "Despicable Me 2" at Thursday's first-ever Oscar Concert at UCLA's Royce Hall in Los Angeles. "What's fantastic about an evening like this is we can understand completely that these movies we see wouldn't be what they are and couldn't be made without the service of a great orchestra," said Williams, who with 49 nods is the second most nominated person, behind Walt Disney, in Oscar history. The concert, hosted by rapper-actor Common and featuring an appearance by Oscar-winning songwriter Richard Sherman, kicked off with six-time nominee Alexandre Desplat leading a suite from "Philomena." Other composers who took the stage included 12-time Oscar nominee Thomas Newman with "Saving Mr. Banks"; as well as first-time nominees William Butler and Owen Pallett of Arcade Fire with "Her"; and "Gravity" composer Steven Price, who delegated conducting duties to collaborator Joseph Trapanese. Pallett recalled that the nimble score from filmmaker Spike Jonze's futuristic love story "Her" was originally intended to be more dark and mechanical. "Originally, the movie was set 30 years in the future, and then he brought it back to 15 years in the future, so we had to take the 'Blade Runner' score out and make it a bit more contemporary," said Pallett. The other song performers included "The Voice" contestant Matt Cermanski singing U2's "Ordinary Love" from "Mandela: Long Walk to Freedom" and actress Cristin Milioti from "The Wolf of Wall Street" and "How I Met Your Mother" crooning Karen O's "The Moon Song" from "Her." Robert Lopez and Kristen Anderson-Lopez, the songwriters behind the sweeping "Frozen" ballad "Let It Go," performed their own tune from the animated film starring Kristen Bell and Idina Menzel. "I am not Idina Menzel," warned Anderson-Lopez before she was accompanied by her husband on piano. "Very few of us are, which means I don't have to perfect. I can just let go." Menzel, as well as each of the other nominated song performers, including Karen O and U2, will be on hand during Sunday's ceremony to showcase their original song selections on the live broadcast, hosted by Ellen DeGeneres and airing at 7 p.m. ET on ABC.